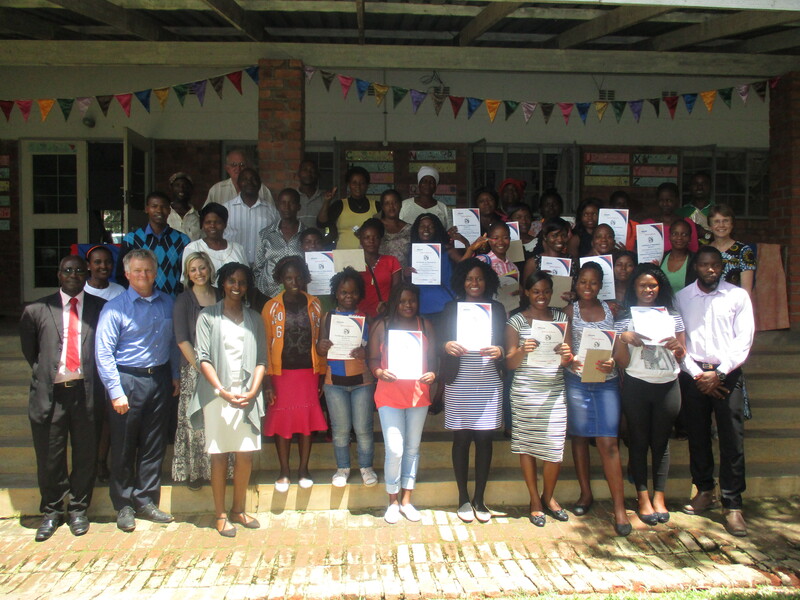 We were able to invite girls and young women to come back for one week at Nzeve Centre last week. We had such a good time together! The participants all ran a small business activity (hair dressing, wig making, peanut butter, baking, sewing, selling sweets) for the week and then held a mini market on Friday. They learnt about costing their goods, making a profit – or loss- and which services and items were good business. We also spent time discussing risky behaviour and measuring risk in our choices – these young women have come a long way and they are willing to discuss difficult issues with their mentors. It was sad to see them leave, but they will continue to keep in touch through their mentors. There was drama in the lower classroom; sewing in the workshop; hair styling on the verandah and videos in the meeting room! 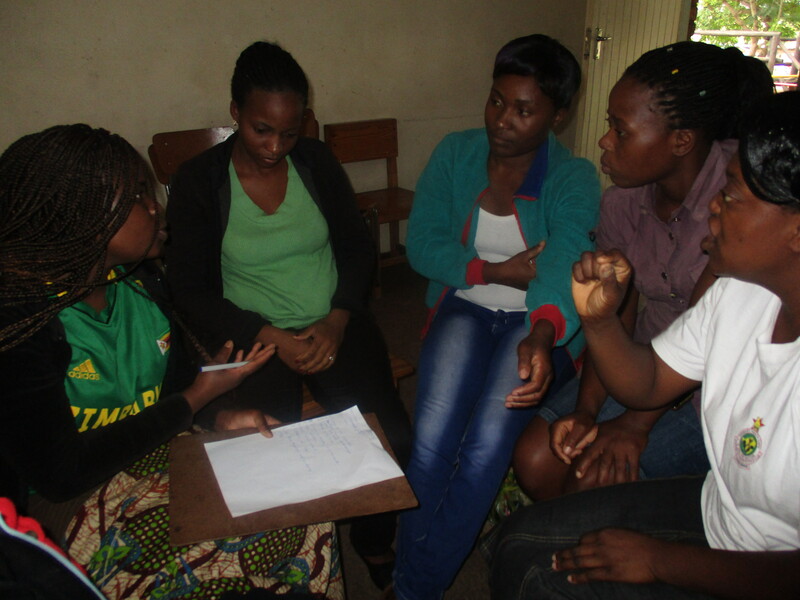 Young deaf women played board games to learn about their strengths and then broke into discussion groups to create an answer for an orphan worried about her HIV+ uncle living in her home. Role plays gave the girls ideas of how to refuse to go with Sugar Daddys and art activities allowed them to demonstrate their creative abilities and learn new ideas about themselves. We were delighted to welcome parents and representatives from our funding partners Johnson & Johnson to our Graduation event. Thanks to everyone who sent in their entries. The winning logo is shown. Well done Steven Chikosi of Harare and an anonymous contributor. $100 is on it’s way to you now! We closed the preschool on December 7th and we started again today January 11th! That’s a long time for a young child learning how to sign to be in an environment where almost no sign is used. Deaf children can feel very lonely and isolated. Then they get accused of being “harsh” when they show their frustration at being misunderstood or unable to express themselves. This is why we include the family in the activities at Nzeve. Young children learn to sign but they need to have someone to sign with. Mothers bring their children to Nzeve and most of them stay to learn communication skills themselves. We wish you all a Happy New Year and thank you for your support. Send us a message or like on our Facebook page! Let us know you are with us! The rains came this week at last – it has been very hot and the children have enjoyed water play! We were given a large paddling pool a few years ago and they have had fun cooling off. But on Friday it rained and everyone turned up in jerseys and woolen hats! By midday it had warmed up again and the children regretted their choice of clothing. But the rains mean time to start working in the fields- this weekend people can be seen everywhere digging and preparing the land for the seed maize due to be planted. We are hoping for a better harvest this year for Zimbabwe. Project Sanganai youth were trained a few years ago in conservation farming methods (Foundations for Farming). They have already got their seed in the ground and they are keeping it well watered using the drip kit.